It’s not easy to keep your home looking and functioning great through the years. Neglecting a few small things can make a huge difference. There are many home maintenance mistakes you need to avoid to keep your home in pristine condition. Whether it’s something small like not dusting or something more serious like water damage, you need to maintain every aspect of your home. We’ve come up with 9 home maintenance mistakes you need to avoid to keep your home looking wonderful and functioning properly. Let’s get started! 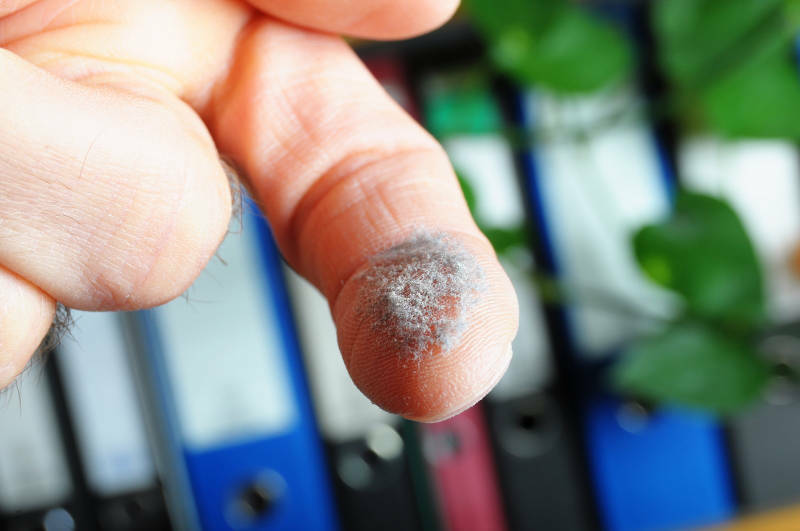 Allowing dust and dirt to collect in your home is a big no no! Not only does it look bad but it can aggravate allergies and asthma which is never good. A simple wipe down of all your furniture and knick-knacks is essential on a weekly basis – sometimes more frequently. 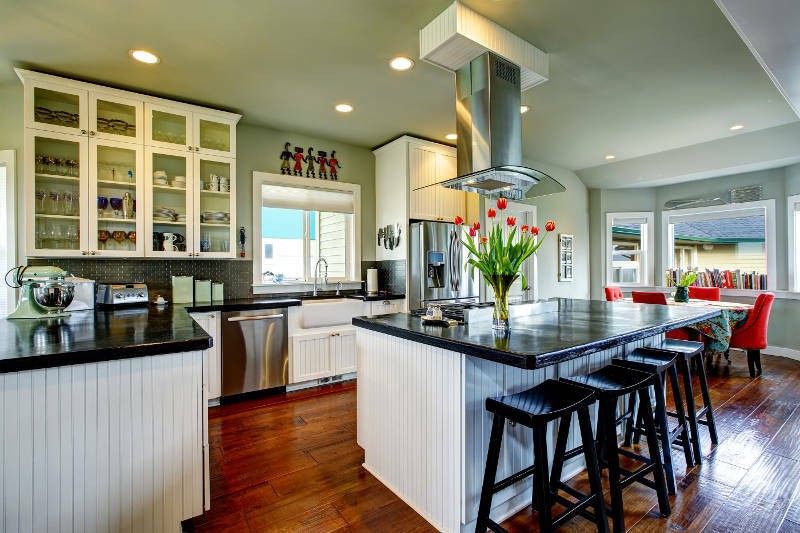 One mistake homeowners make is only dusting surfaces and what they can see. There’s more dust collecting in areas you can’t see and it can build up rather quickly if it isn’t cleaned. Reach into crevices and behind large appliances to make sure your home is thoroughly dusted. Also, make sure you change your furnace and air conditioning filters regularly. They can collect dust which will effect how air flows throughout your home. This adds more stress to them and will increase the cost of your energy bills. Don’t forget to vacuum the dust out of your air vents as well! If your windows are feeling drafty, you have a major problem on your hands. That means they’re not energy efficient and are allowing outside air into your home. This will add stress on your furnace and air conditioner leading to higher energy bills. There are a few fixes you can try with drafty windows. Window film is your cheapest option. This is a plastic wrap that’s applied to the surface of your window to create another layer of insulation. 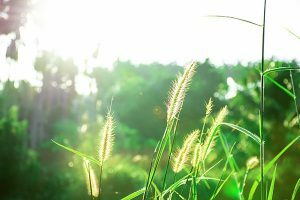 Window film may only work for a few weeks so you’re still not completely safe from outside temperatures. Storm windows are installed on the outside of your existing windows and, like window film, add another layer of insulation to your windows. This is a more expensive option but it won’t work forever. In the end, you still have a drafty window and your home is losing heated and cooled air. The one true solution is window replacement. Getting new windows that are energy efficient is the perfect way to keep your home feeling comfortable year round. 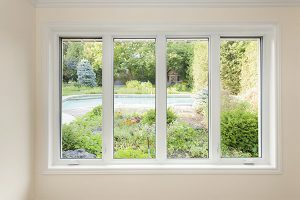 Feldco offers some of the most energy efficient windows available. They’re double or triple pane, argon gas-filled vinyl windows. The frames are even foam insulated and work with the energy efficient glass to make your home air tight. Get a free quote now and feel the difference! Not cleaning your gutters can lead to many serious problems for your roof and foundation. This is because your gutters direct water away from your home, preventing any damage from occurring. Many homeowners don’t think about their gutters often – out of sight, out of mind. If you don’t remove leaves and debris from your gutters, they’ll clog and rain water will backup, spilling onto your roof and foundation. With Chicago’s heavy precipitation, you need to make sure this gets done! It’s very easy to prevent this from happening. 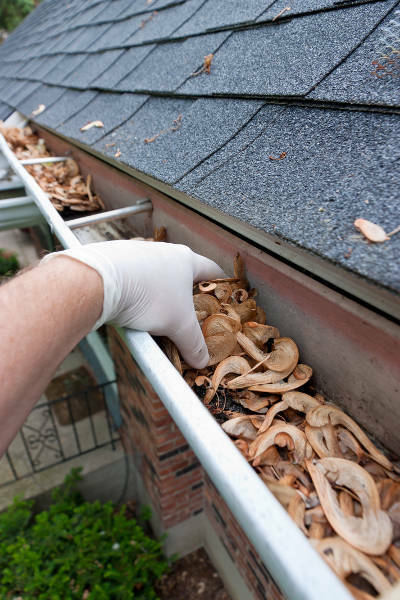 Every six months, remove any leaves, dirt, grime and debris out of your gutters to prevent blockages. This will allow water to flow through them and away from your home. You can read more on cleaning your gutters here. Water damage is terrible for your home and should be prevented by any means necessary. Avoiding the problem is a major home maintenance mistake. It causes mold, damaged walls/floors and costly repairs. You need to know what to look for in order to prevent it and if any symptoms occur, take care of them immediately. Whether it’s from leaking pipes, plumbing problems or flooding, you need to take care of water damage immediately. Otherwise the problem will only get much worse. Vinyl siding is one of the most low maintenance home exterior products on the market. You’ll never need to paint or stain it and it doesn’t warp, rot or expand when exposed to moisture. It’s perfect for Chicago homes. That doesn’t mean you don’t need to clean it. Every six months you should wash your vinyl siding so dirt and grime don’t build up. If your vinyl siding is ignored and grime gets caked onto your siding, it’ll detract from your home’s curb appeal and could develop a mold problem. You can scrub your vinyl siding and power wash hard to reach areas. 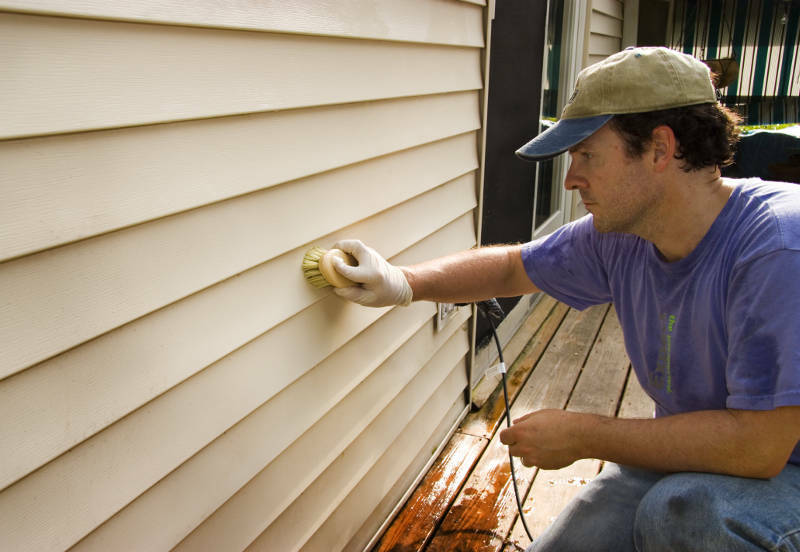 You can read more about cleaning vinyl siding here. Allowing your paint to chip does more than just make your home look ugly – it exposes your drywall or exterior wood. Water can penetrate underneath the paint and, if you don’t get it fixed, it’ll damage your walls further. Also, if you own a home that was built before 1978, you could have lead based paint. This is dangerous if you have homes with pets or children because the paint is hazardous. If you do see your paint chipping, act quickly. Remove the chipped paint, repair any damages and repaint. Don’t start repainting your wall until it’s dry. Storing your items is a great way to open up space in your home and declutter, but what happens when your storage space becomes cluttered? 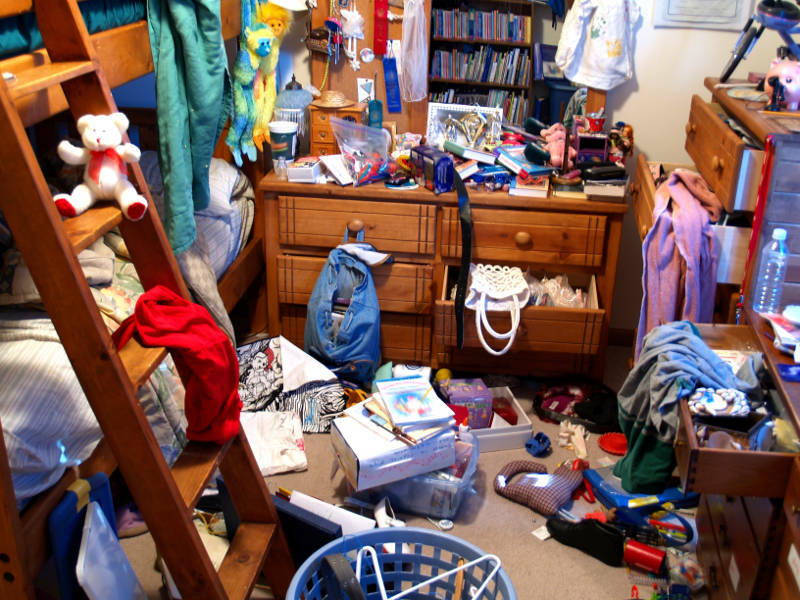 The mess spills into the rest of your home and you won’t be able to find anything you need. Be careful how you use your storage. First make sure that the items you’re storing are worth keeping and you’ll come back to use them. Anything you don’t want can be sold at a garage sale or donated. This alone should solve majority of the problems. If you don’t have enough storage space, consider purchasing new cabinets and storage devices. This will help you organize your home better and find items easier. Also, be careful where you store certain items. For instance, propane tanks shouldn’t be stored in your garage because they’re at risk of being ignited by your car. Make sure you’re not putting yourself in danger with your storing habits. This could be multiple home maintenance mistakes but we fit them all into one. You can’t afford to not winterize your home properly. 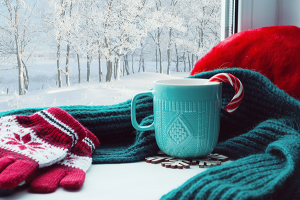 There are several small things that you need to do around the house to prevent severe damages from occurring in the cold weather. What are these “severe damages”, you ask? If you don’t wrap your pipes during the winter, you’re at risk of them freezing and bursting. Same can be said about the pipes with your sprinkler system. 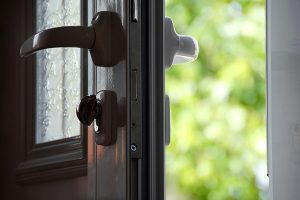 Not installing a storm door leaves your entry door vulnerable to hail and debris blown by heavy winds. Not having attic insulation allows heat to escape through your roof, raising your energy bills. Need we go on? Of all the home maintenance mistakes, the biggest one homeowners make is that they push off their responsibilities. Many people know what needs to be done but actually doing it is another story. Don’t be like most homeowners, make sure you do what needs to be done around the home. Otherwise, the problem will get worse and eventually become very expensive to fix. Catch and solve problems before they escalate to that point. There are many home maintenance mistakes you should avoid, but these 9 are the cream of the crop. If you pay attention to them and act quickly, you’ll reduce the chances of having to make a costly repair. From dusting to replacing windows and everything in between, all it takes is a little time and effort to keep your home well maintained and looking great. If you need replacement windows, gutters or siding, get a free quote from Feldco. Over 350,000 homeowners have trusted us with their home improvement projects. All of our products are built to withstand Chicago’s weather conditioners.